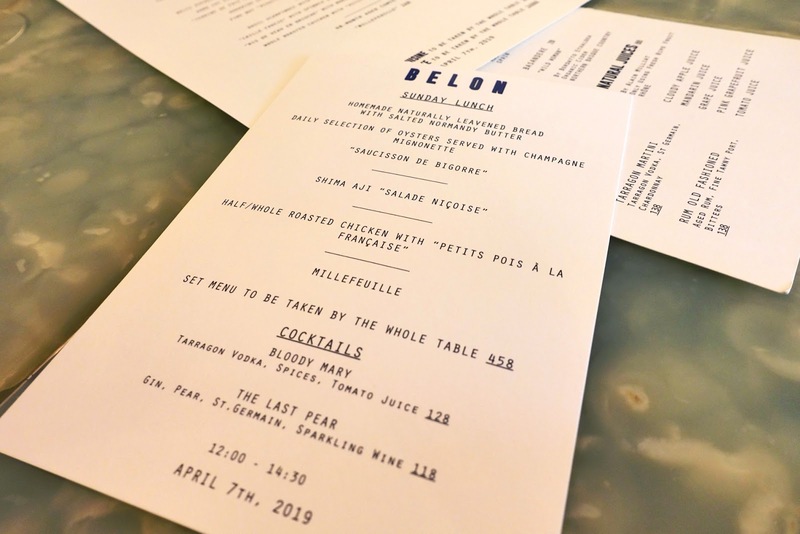 We thought Sunday brunch at Belon was a perfect way to introduce some of our friends to our favorite restaurant in town, plus it’s something we have never done before so it’s a good opportunity for us to check out this menu as well. 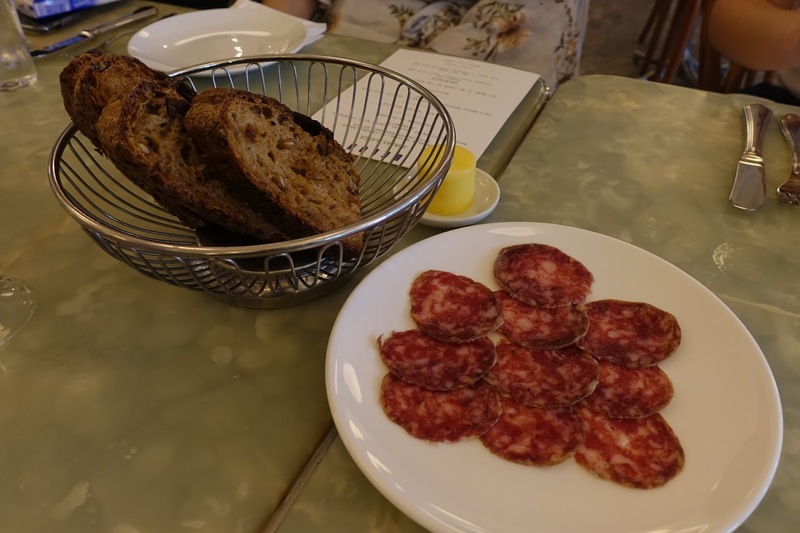 Sunday is the only day of the week that the restaurant opens for business in the afternoon, and I do like the different vibe of the place – more chilled and laidback as opposed to the rustic, lively atmosphere often seen at their always- busy nights. And I did like the natural sunlight beaming through the wooden windows facing out to the street. While regulars may find the Sunday lunch menu a little repetitive with many familiar dishes that made the restaurant (and its chef Dan Calvert) famous, it is a good introduction to anyone coming here for the first time, with a simple four-course menu served family style and shared by the whole table. Well, we began with a pair of bite-sized canapes including the Comte cheese puffs and chickpea falafels – both decent as usual – followed by oysters served typical bistro-style, raw on the shell with a straight-forward mignonette dressing. All the while a few pieces of bread arrived in a basket, along with salted Normandy butter and thin slices of Bigorre sausages – I was happy with just that as my light meal or afternoon snacks. 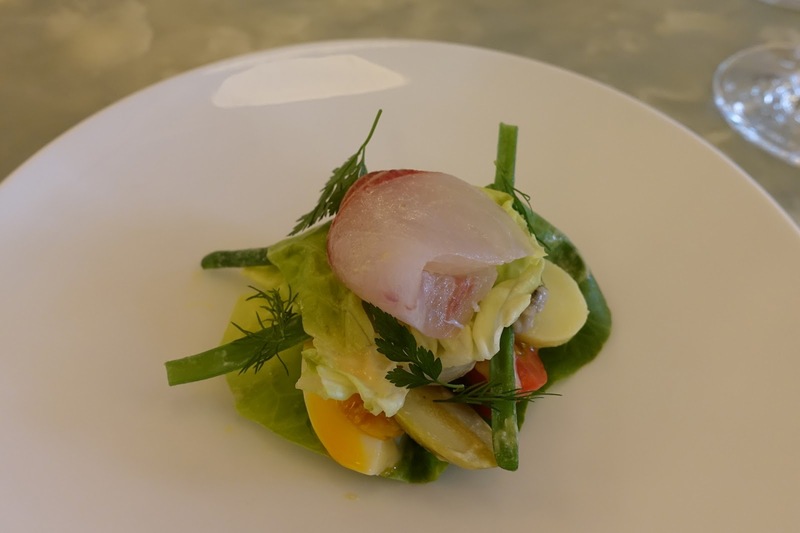 The Shima Aji course is Chef Dan’s interpretation of the classic Salad Nicoise – much scaled down with the anchovy flavor (it’s still there but much less than the normal version), and replacing Tuna with the lighter but equally fatty slices of Shima Aji (striped jack). The layers of various flavors and textures just came together perfectly. I felt we were served with an disproportional amount of the restaurant’s signature roast chicken, but we finished everything from head to tail and we ain’t complaining. 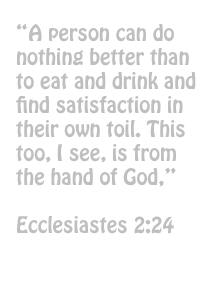 Nothing short of our expectation and everyone loved the potato mash served on the side as well, wiping the bowls clean. 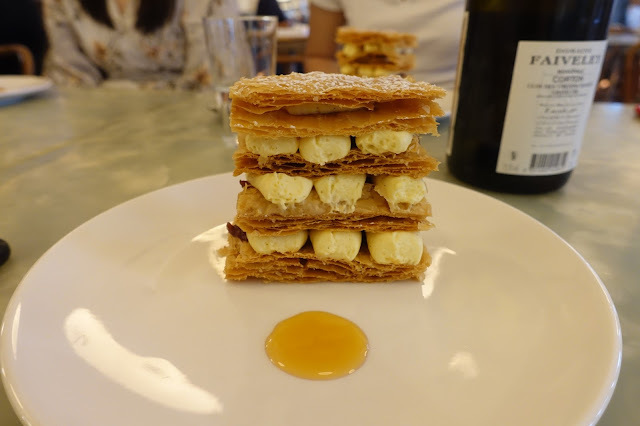 Took a little longer for our dessert of Mille Feuille to arrive but it’s perfectly done and worth the wait. One could tell how great it was when the we heard the crisp sound while putting the fork down the layers of pastries. So was the madeleines passed to us as petit fours towards the end of the meal – warm with a nice “bump”, the textbook example of the perfect version of this classic. Along with a casual meal we went for a casual Loire white from their wine menu followed by a Burgundy red we pulled from home. The white was the simpler one but with good refreshing taste (some stone fruits and lemon), medium-bodied and slight acidity, while the red was more complex and elegant which I thought has come to age after a decade. Both worked well with the dishes. No surprises here this time, but it’s good as usual. Menu Highlights? Roast Chicken with Petit Pois a la Francaise. As usual. Copyright 2018 @g4gary. Powered by Blogger.